Join Archive-It partners, Internet Archive staff, and friends in Seattle, WA! We are hosting more partner meetings to reach more people in more places! This mid-year meeting will take place on Tuesday, January 29, 2019, from 9am-1pm, at Benroya Hall in downtown Seattle. Watch the meeting home page for more program details and opportunities to contribute as the date approaches. There is no cost to attend. Please register here to join. The next open-to-all quarterly call (with special holiday 2018 recapping!) with Internet Archive Web Archiving Director Jefferson Bailey and Senior Program Manager Lori Donovan will be at 11AM Pacific, 2PM Eastern on Wednesday, January 23. Join at: https://zoom.us/j/312437415. Archive-It staff asked about the collections that partners would create with just a little extra free data budget. Read the announcement blog post to learn more about them. Read how partner Tammi Kim used recommendations by the OCLC-RLG Web Archiving Metadata Working Group in order to describe the UNLV Libraries’ new web archive of the shooting tragedy on the Las Vegas strip: Archiving and describing mass tragedy: the Web Archive on the October 1, 2017 Shooting in Las Vegas, Nevada. The Internet Archive’s Archive-It staff and partners at the New York Art Resources Consortium (NYARC) announced that the San Francisco Museum of Modern Art (SFMoMA) will host the IMLS-funded national forum, Advancing Art Libraries and Curated Web Archives on February 11-12, 2019. 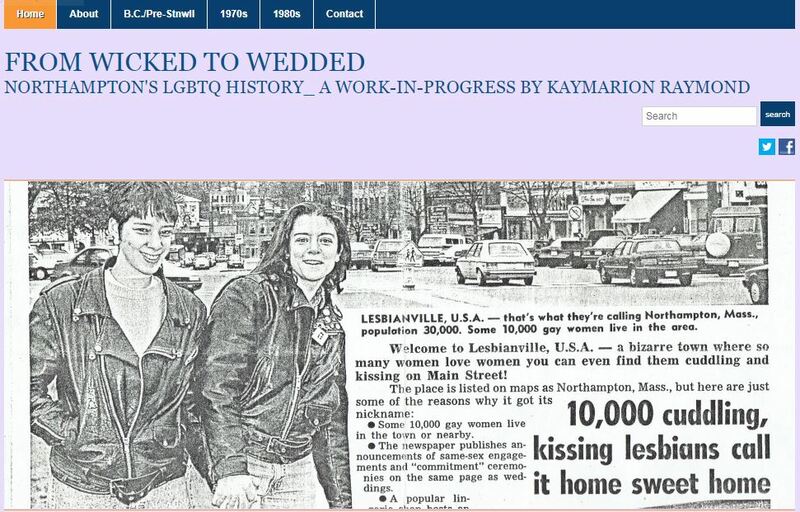 See the forum’s home page for more information and updates. Three new teammates joined Archive-It and the Internet Archive’s Web Group this fall. Meet Senior Engineer Madison Scott-Clary, Web Data Engineer Helge Holzmann, and Web Crawl Engineer Connor Walsh in this introduction. Internet Archive staff have continued developing and releasing new Archive-It web application features and related software tools since the full January 2016 release of Archive-It version 5.0. See the Archive-It 6.0 Release Notes for more information about these enhancements. The Archive-It Help Center now includes a simple system status page to keep all partners informed of any system-wide issues or outages. See the announcement, “Introducing a new system status page,” for more information. Up next: Stay tuned for more advanced training topics and times in 2019! 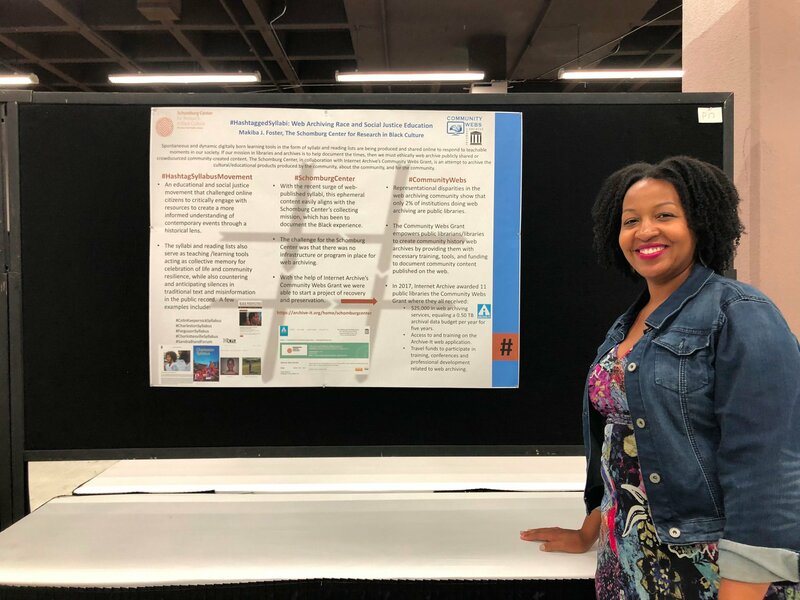 Partner Makiba Foster presenting her poster on web archiving #HashtaggedSyllabi with the Schomburg Center for Research in Black Culture, at the Joint Conference of Librarians of Color in September.